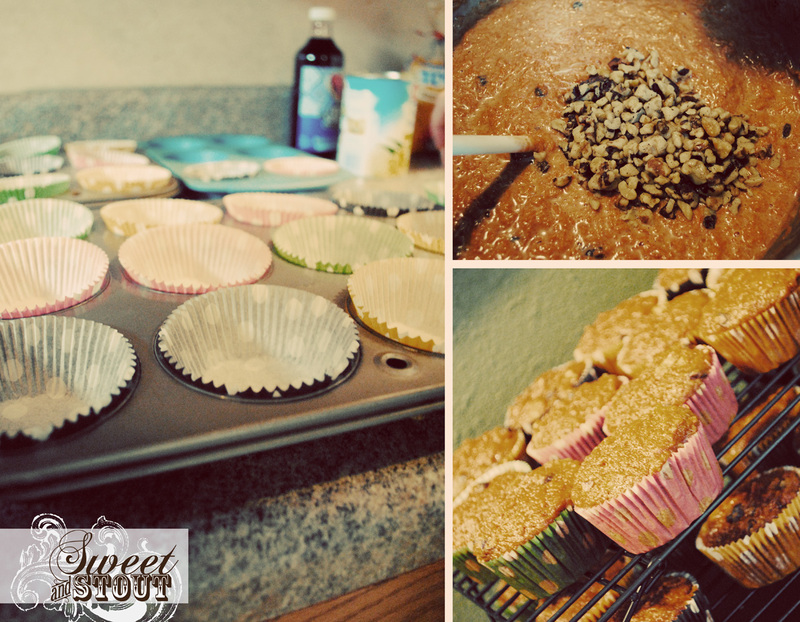 Sweet potatoes in cupcakes? Heck, yes. To say I was a picky eater when I was younger would be an understatement. Sadly, I never realized the goodness that is a sweet potato, until my adult life. All those years I could have been enjoying them! Well, at least I realized in the last couple years, that they are amazing. Dylan & I have been talking about using sweet potatoes in a cupcake recipe for the last few weeks, and we finally did it. I got the recipe from a coworker. She’s always picking out recipes for us to try, this one was really easy to figure out where to add the beer in. 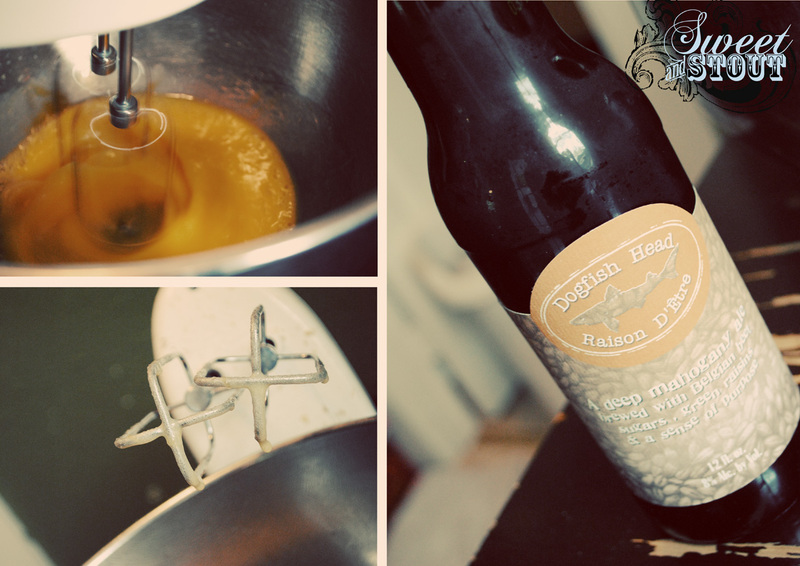 The batter turned out REALLY thick, so I just tossed in a cup of Dogfish Head Punkin Ale to thin it out a little. If you’re into pumpkin beers, this is one of my favorites. I was a little reluctant to use it in the recipe, only because I wanted to drink it instead. 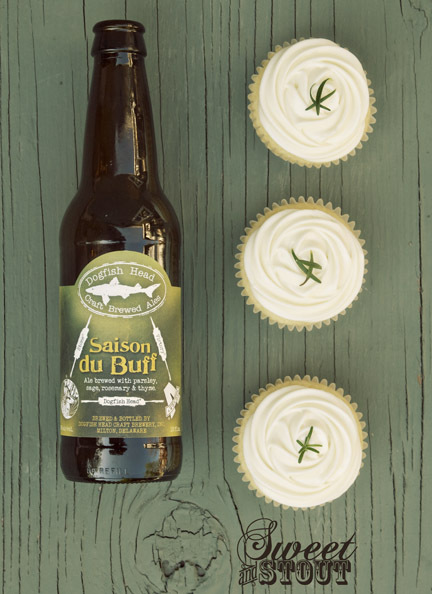 But I made the sacrifice for you, dear beer-cupcake lovers. That’s how much I’m committed to this cupcake thing. 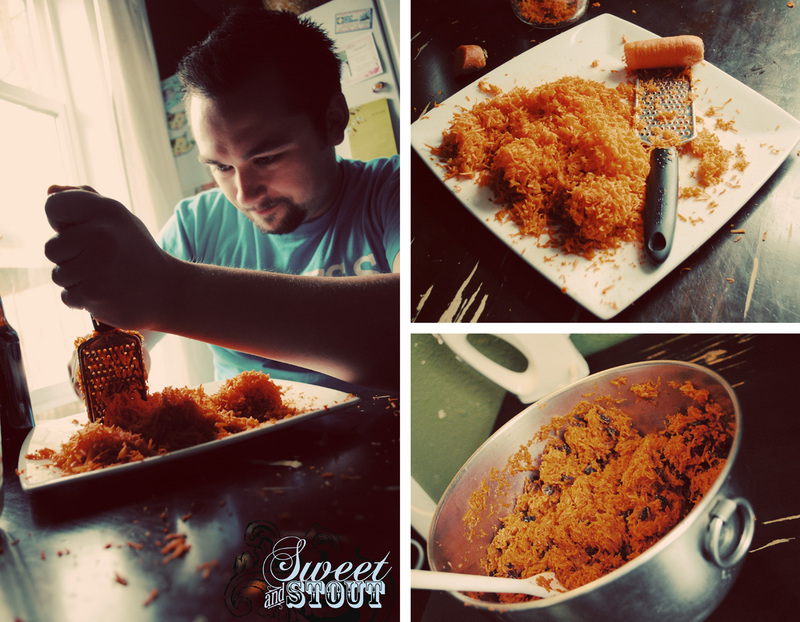 For this recipe, I had to roast a pound of sweet potatos, then mash it up and add it to the batter. It looked kind of weird when I mixed it in, but the results were well worth it. 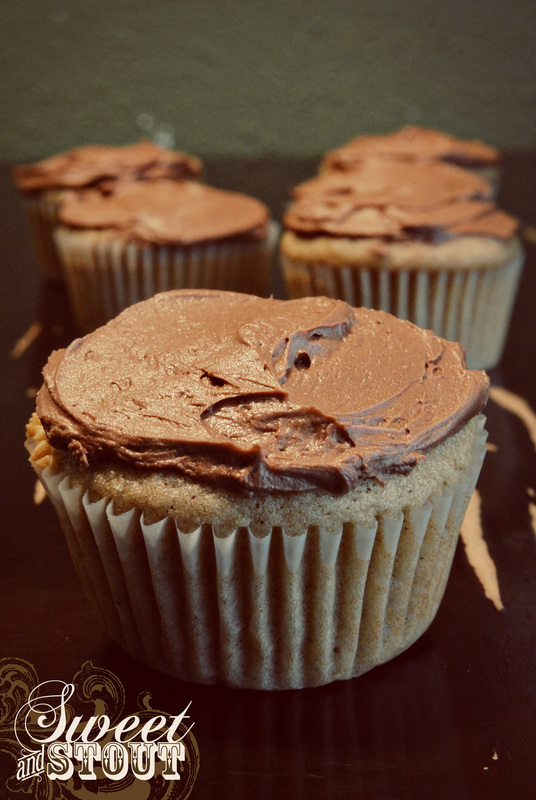 As an added bonus, each cupcake has a Hershey’s kiss right in the center of the cupcake. 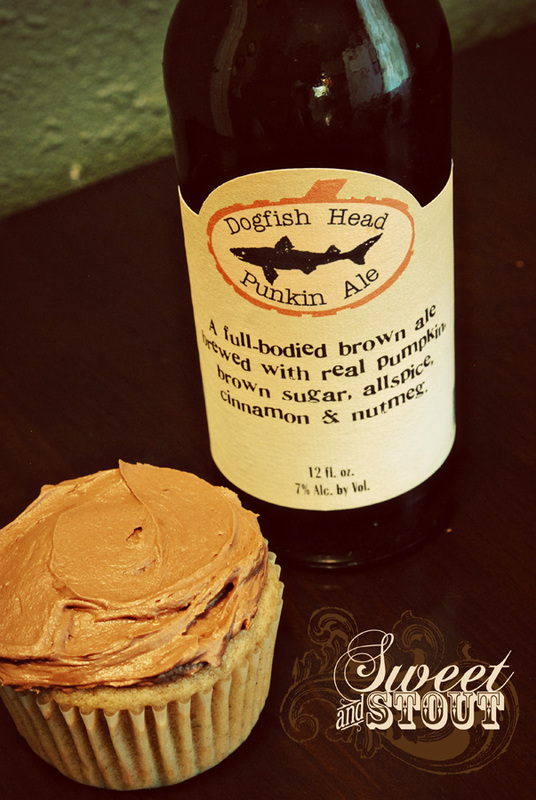 The sweet potato, the spices, and the pumpkin beer blend perfectly in your mouth when you take a bite. The chocolate is (literally) the icing on the cake. 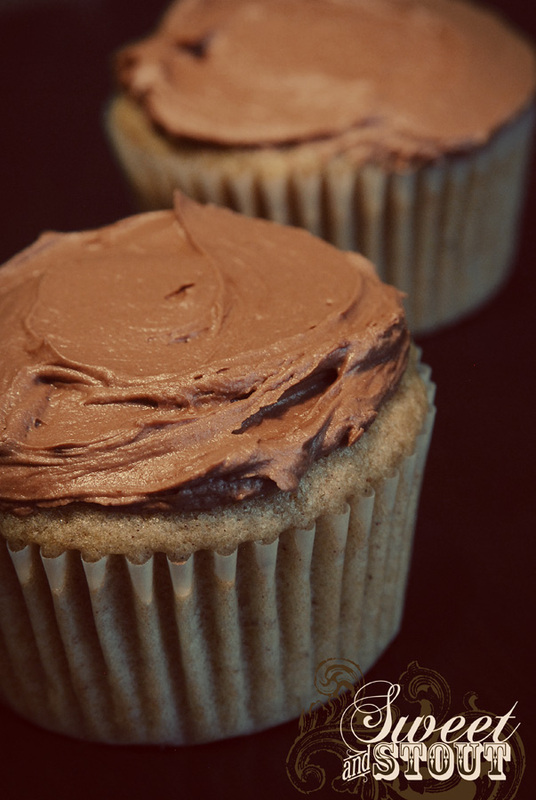 When you pick one of these cupcakes up, you can feel the weight of it. They are dense! I’d say these are like a thanksgiving day dessert party in your mouth. SO good. So good, that I could eat them all tonight, and leave none to take into work tomorrow … Just kidding, coworkers! In other news, our kitchen is all paid for & eagerly awaiting our arrival to start baking. 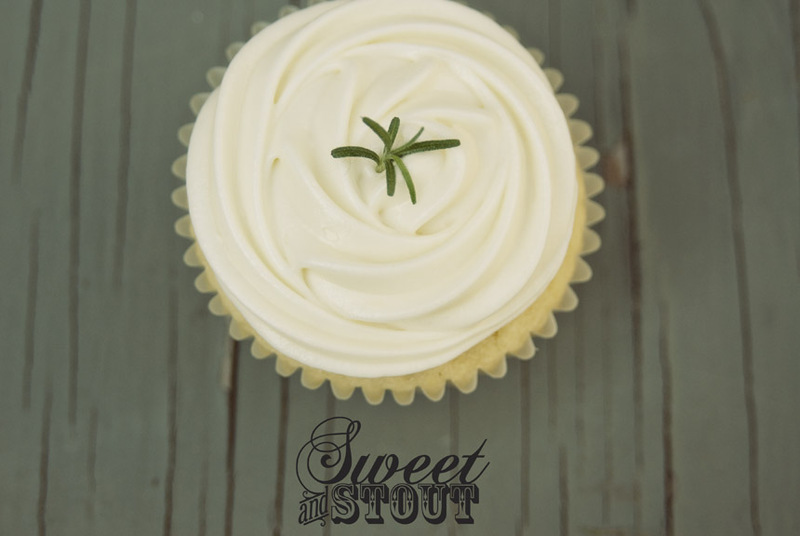 If you’re around on Thursday night, there will be a sneak preview of cupcakes over at Brews on Washington. The catch is that you have to come play trivia, and you could win them as a prize. Totally worth it. Plus, if you win trivia night, you get $25 off your tab. If you’re busy on Thursday, make time to come see us on Saturday over at Brews on Washington – it’s our official kick off party! Our wonderful and amazing donors can stop by and get their cupcake prizes. Everyone else is invited to join us too, there will be plenty of cupcakes, in plenty of flavors for sale! Dylan and I will be there, so that’s pretty cool too. Oh, and we’ll have a few pint glasses, recipe books, and t-shirts, if you’re interested. 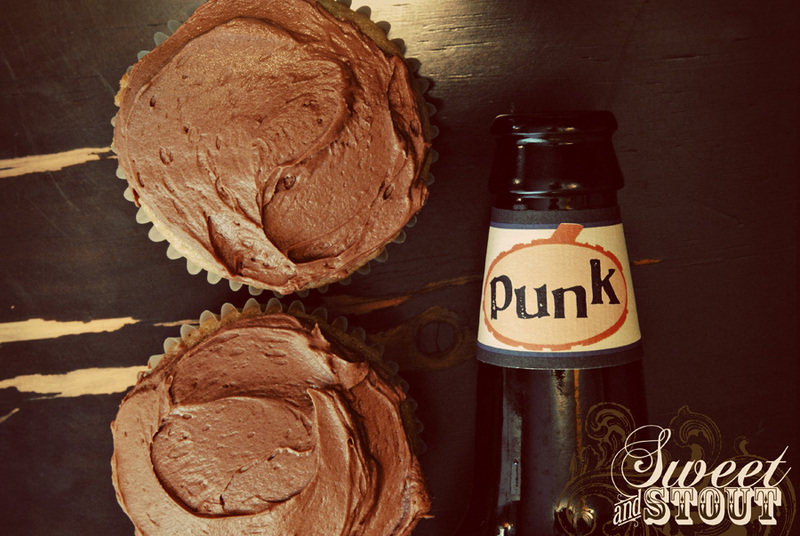 Come have a pint and a cupcake with us! Wait a second, why is the title in French you ask? 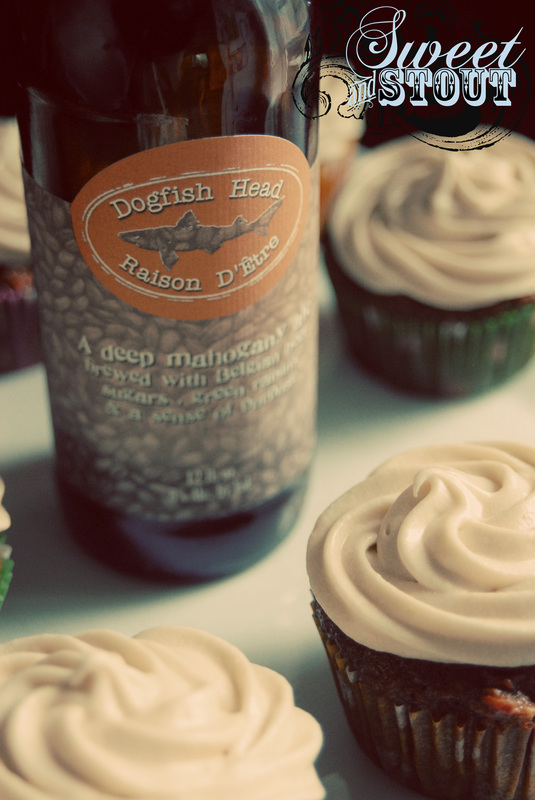 Well this weeks selection for Sweet and Stout gets it’s fancy flavor from Dogfish Head Brewery’s Raison D’Etre. While it’s not a french beer, the name is, and it means “reason to be” or as I’m finding on other sites, “reason for existance”. I chose this beer because it’s a dark Belgian style brewed with beet sugar and raisins, a perfect pairing for a carrot cake, in my opinion. You can definitely taste the raisins as well as some other fruits as you’re taking a sip of this beer. It was kind of sweet, and after a few sips, I decided I liked it. I’m sure it helped that the ABV is 8%. Why are all the tasty beers so strong? On to the cake! Poor Dylan got volunteered to grate carrots. Do you have any idea the amount of carrots that go into this cake? About 6 cups worth, that’s how much! The thing is, I thought I had 2 graters, turns out I only had one. The next time we make this cake, I’m pretty sure I’ll be doing all the grating. This was my first time ever making a carrot cake and didn’t make a very pretty looking batter, but they really did turn out to be quite delicious. I never really knew I liked carrot cake until recently. I’m sad I’ve been missing out on eating this kind of cake for so many years. 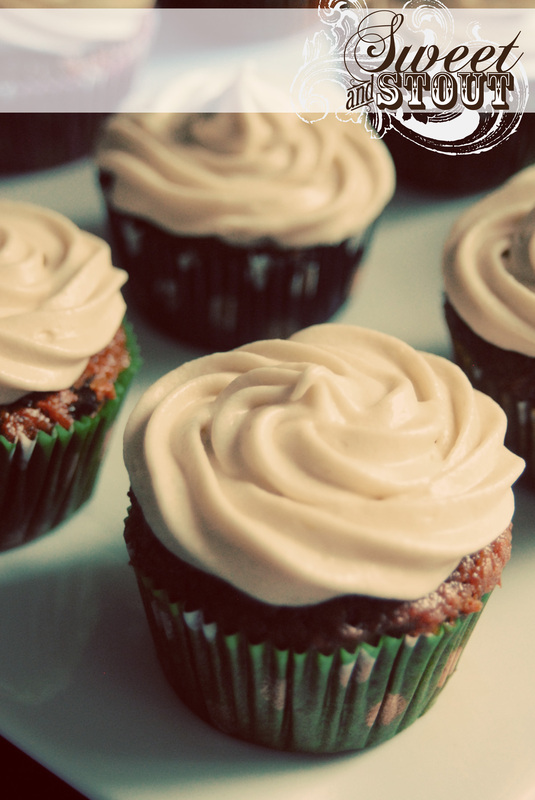 Of course, we topped these off with the traditional cream cheese frosting. This time I made a bit more frosting so that we could use our frosting-cake-decorator thing and make it look all pretty for you!